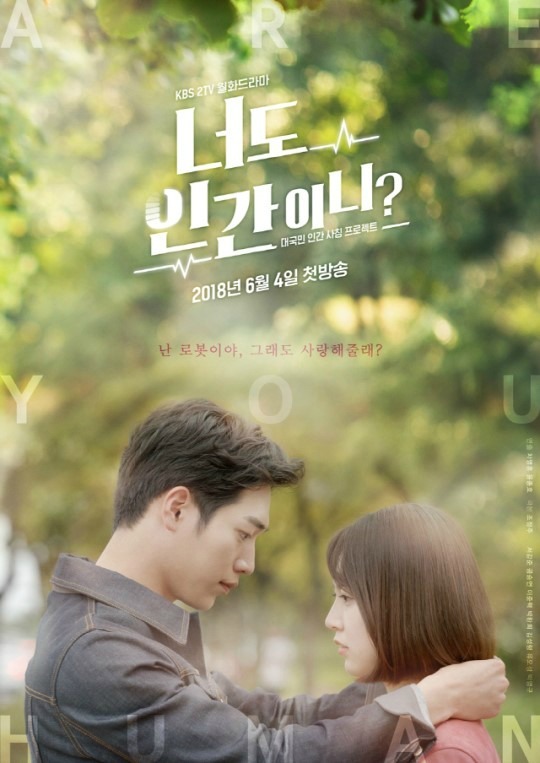 Home > Are You Human Too > Finally Poster love for Are You Human, Too? At this point, it really doesn’t even matter what the Are You Human, Too? 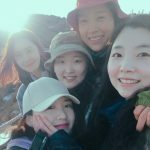 (너도 인간이니?) posters look like because the wait for it to air, or even pick a steady time slot to air, has been so looooong. I am happy for any movement whatsoever, so it is good to see a slew of posters released this week for this drama. Are You Human Too? 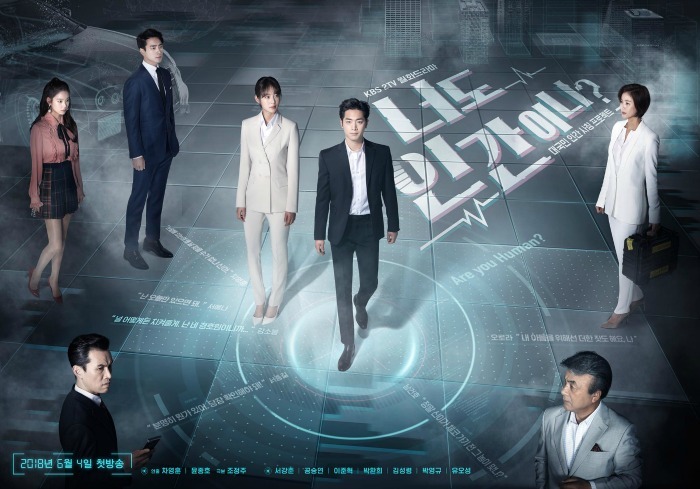 is a completely pre-produced drama that was completed back in 2017 and purchased by KBS, but it has been sitting in the wings until KBS decided to air it. It seems like this drama was expensive, so they might have been waiting for the go ahead from China to purchase the rights and recoup half their money right away. Or maybe some other things were keeping it from airing, I don’t know. All I know is that the premier day was early 2018, but then it was moved to the spring, and now it has finally settled on a summer premier. Seeing these posters really confirms that it is actually going to air, so huzzah to that. 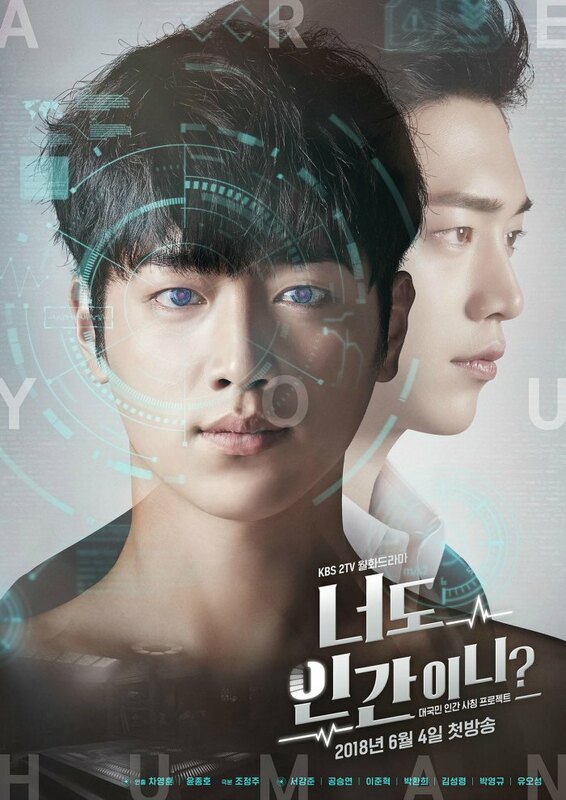 This drama stars Seo Kang-joon (서강준) who plays a dual role of the entitled rich boy, Nam Shin, and the innocent Android, Nam Shin III. Nam Shin will get into a serious accident early in the TV show which will put him into a coma. His mother will secretly release Nam Shin III out into the world for him to act as her son, which will somehow prevent the company from crumbling. Apparently, this company is on the verge of collapse if the heir is not around. Nam Shin also has a love story with Kong Seung-yeon (공승연), who plays Kang So-bong, the son’s bodyguard. She holds a gun and practices MMA, so I assume there will be a lot of action on her part. I don’t think it is clear yet on whether she knows Nam Shin is a robot or not. I also don’t know if she loved him before he was in the accident. I need to do a bit more reading on it, but I can see some problems coming later on in the drama if she did love the original and then fell for the robot. I foresee mega tears if she didnt’ know the original and then fell for the robot, but the robot had to be destroyed when the real boy came back and the real boy is nothing like her lovely robot that is forever lost. Y’all, just writing that made me tear up a little. Those first two posters definitely have the roboty stuff. But the next part pulls the human aspect. The second poster below has the caption “Can you help me keep others from finding out I am a robot?” Which, argh! The innocence! 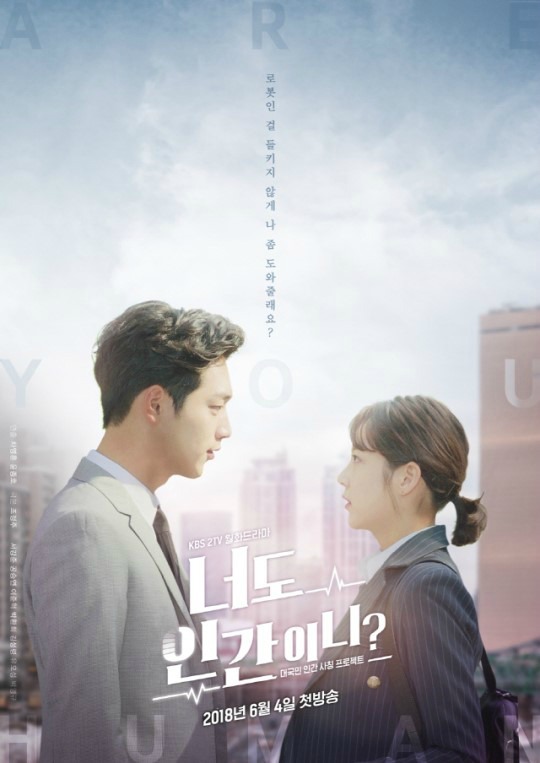 But the next poster is even more heart tugging because it reads “I am a robot; even so, can you still love me?” …just…my heart…my soul!…this drama is definitely going to pull on those prickly emotions I try to keep buried deep deep inside. Are You Human, Too? premiers June 4th. It will air on Mondays and Tuesdays at 22:00 on KBS2.